We’ll meet in front of the glass conservatory around 7:00 pm for the 9:15 pm show, which lasts about 30 minutes. Please plan to have dinner before then. (If you plan to eat inside garden grounds, the Cafe, which was undergoing renovation during our winter field trip, is now open, as is a Beer Garden.) The gardens and the conservatory open at 9:00 am. Timed tickets are required for admission — $23 for adults, $20 for seniors (62+), and 25 percent off the adult admission for military with a valid DOD card. If you’re a member, you’ll need to get timed admission tickets (free) if you plan to arrive after 3:00 pm. Tripods and flash — you’re allowed to use tripods in the Conservatory between 9:00 am and noon, and in the Gardens at any time, with exceptions. The exceptions will probably include a prohibition on tripods during the light and fountain show because of the crowds. The Garden’s policy says there “may” be restrictions that are announced prior to the performance — if the crowds are sparse, we may be able to use tripods. They do expressly prohibit flash after dark. Kennett Square is about 2 hours drive from the Dunn Loring Fire Station where NVPS meets. If you don’t want to make the drive home some time in the sun and an evening shooting the fountain and light show, there are several hotels in and near Kennett Square. Questions — please email field-trips “at” nvps.org. Longwood Gardens never disappoints. Join us for a full day of photography. Arrive at your leisure and we will meet at the cafeteria for lunch at 12:30. Please check their website for directions and tickets. If you plan on spending the night, check hotels in the Kennett Square Pa. area. 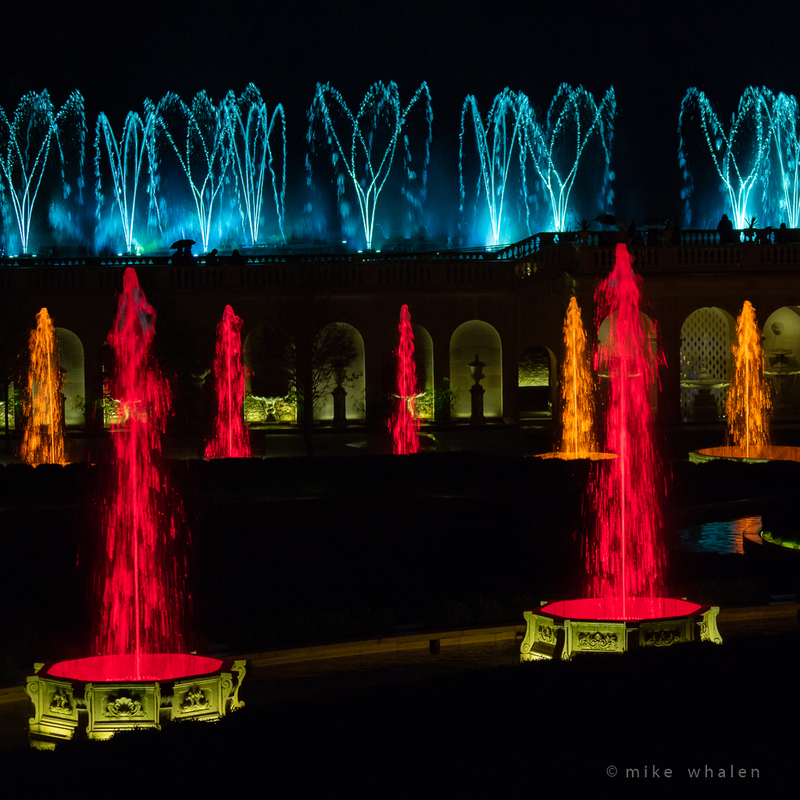 The Illuminated Fountain Show starts at 9:15 PM and lasts about 30 minutes. I am still working on how we might get permission to use tripods. Otherwise tripods can be used inside until noon. Outside they can be used during regular hours but be mindful of other guests. There are great flower and architecture photography opportunities from macro to wide angle. Diffusers and reflectors are helpful outdoors. The Water Lily display in the evening is a must. I will plan on being there most of the day. If we can not use tripods for the night fountains, I will likely leave after sunset.